As more travelers clamor for unique vacation destinations, a stalwart vessel of the Mediterranean yacht charter fleet announced plans to relocate to the Indian Ocean for the upcoming winter season. Benetti motor yacht SILVER ANGEL will be based in the Seychelles and will be available for hire as early as the first week of December. Charters in the Maldives will also be considered. Launched in 2009, the 211 foot yacht SILVER ANGEL was built by the famed Italian shipyard, Benetti. Accommodations for a maximum 12 guests are available in 7 guest cabins. A crew complement of 21 is onboard to operate the vessel and pamper her guests. Winter rental rates are set at USD $450,000 per week plus running expenses. For charters in the Maldives, a relocation fee of approx $22,000 should cover the fuel for the 3-day delivery from the Seychelles to the Maldives. "Motor yacht SILVER ANGEL is specifically designed for first class cruising," states Jana Sheeder, President of SailAway. "We are excited to offer our clients the opportunity to relax onboard one of the largest yachts in the world, in the eco-unique setting of the Indian Ocean." The owner of a beautiful 3 meter sailing yacht is offering two specials to encourage summer charters in the Western Mediterranean. Sail yacht BLISS, launched in 2009 is offering 7 days for the price of 6 or 10 days for the price of 8 on any charters booked by August 15th. 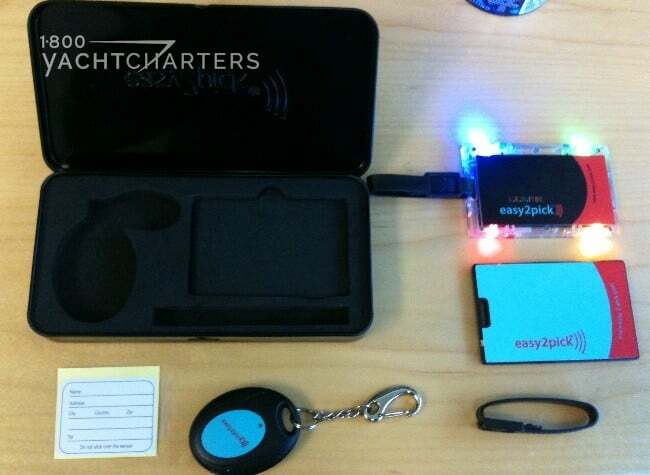 Regular readers of our blog are certainly familiar with BLISS. Her owner understands the challenges of the current global economy and regularly offers great deals to encourage new customers. Led by Captain Andrew Sheltrum and a crew of 4, the 37-meter (121’) luxury sloop BLISS was designed by Dubois Naval Architects and constructed by Yachting Developments NZ. 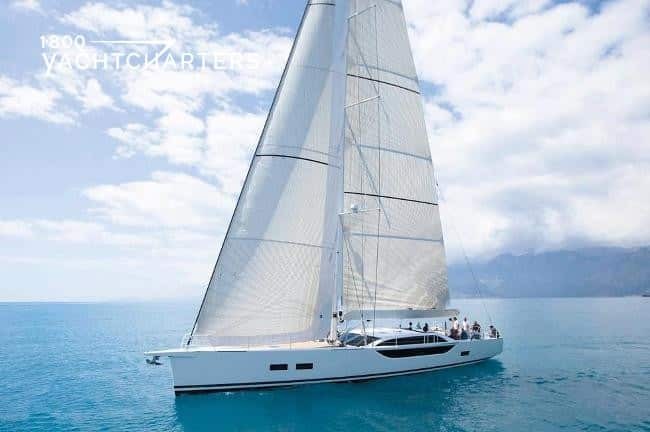 S/Y BLISS is considered one of the finest vessels built in her category in recent years.The yacht features an ideal blend of comfort, style and speed, making her suitable for both racing and sail boat charters. 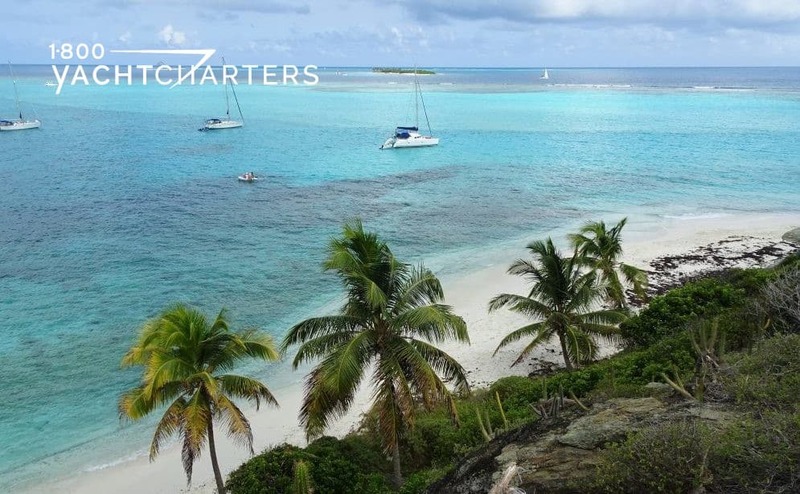 To charter Mediterranean luxury #yachtcharter sail boat BLISS or any other private yacht, contact 1-800 Yacht Charters by clicking HERE. 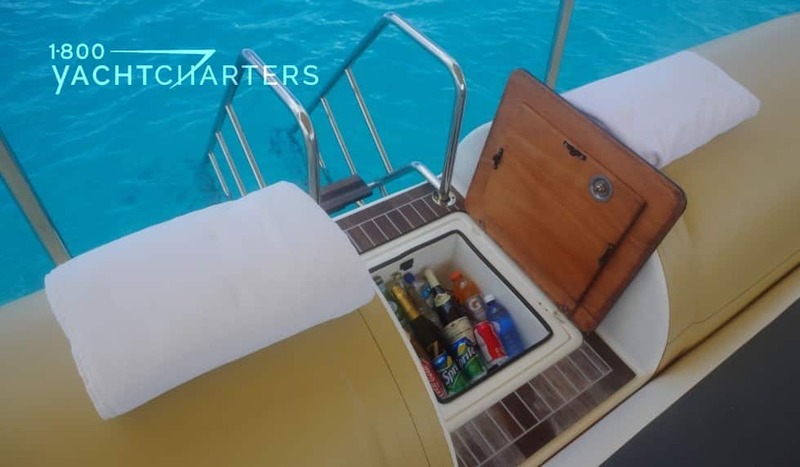 Hoping repeat charter clients have tired of spending New Year’s Eve anchored in St Barts, one megayacht owner has decided to reposition his superyacht to New Zealand to ring in the new year. 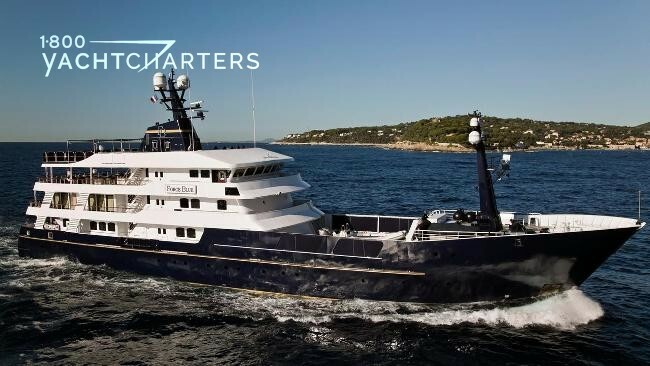 The 42 meter Mediterranean yacht charter vessel, motor yacht NINKASI, has announced plans to relocate to Auckland, New Zealand in December, for Christmas, New Years, and the winter charter season. Her price is set for all seasons at $160,000 per week plus running expenses. Every year, the proud design team at Feadship unveils a concept model at the Monaco Yacht Show. Our “spies” tell us this year’s show, scheduled for September 19-22, will once again feature a new design by the fabled Dutch builder, but with a twist – a client will be on hand. After catching a sneak peak of the new concept model, it seems the luxury yacht charter builder has taken superyacht styling to a new level. 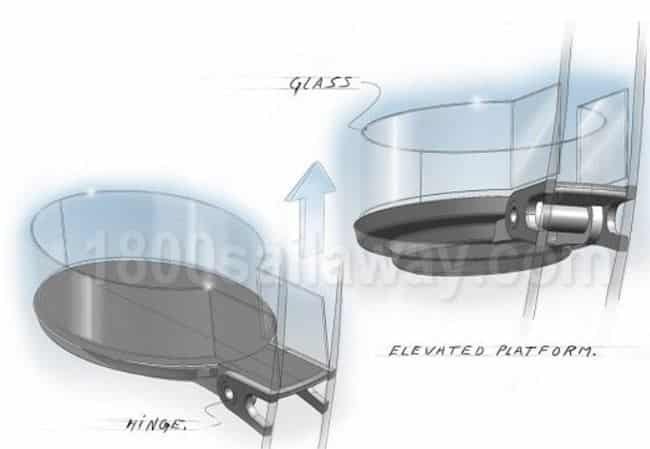 Features will include a radical new bridge layout and a feadship bridge layout spectacular crow’s nest. During the show, Feadship’s newest client will be present to answer questions about this yet-to-be-named project. Just received word from the owner of a massive superyacht looking to make a splash at the upcoming Venice Film Festival.Motor yacht FORCE BLUE, has a secured berth in the first row of the “Pali della Salute” (in front of Piazza San Marco) from 29th August to 8th September. Imagine walking down the passarelle of a 207′ yacht, and stepping onto the red carpet at one of the world’s premier film festivals! 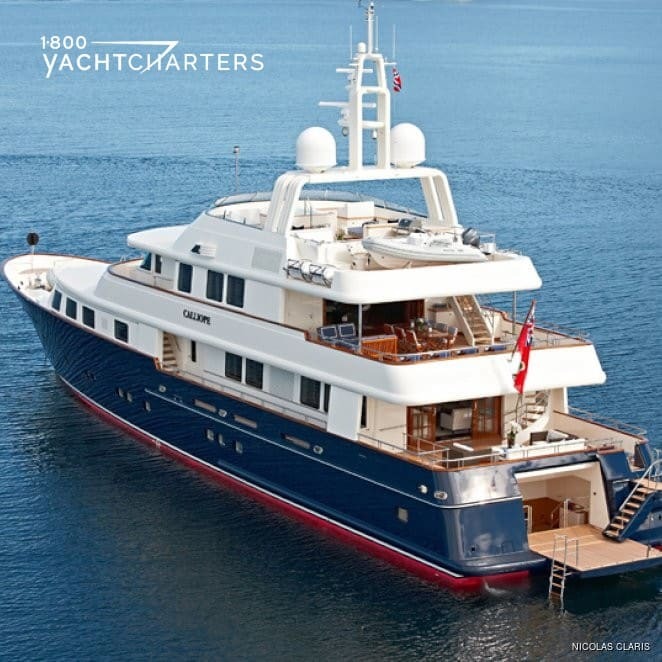 Thanks to her massive deck space and huge volumes, yacht FORCE BLUE can host receptions for 130 guests along the quay, as well as formal lunches/dinners for up to 60 guests (seated on upper aft deck only). The 69th Venice International Film Festival, organized by La Biennale di Venezia, will run at Venice Lido August 29th through September 8th, 2012. 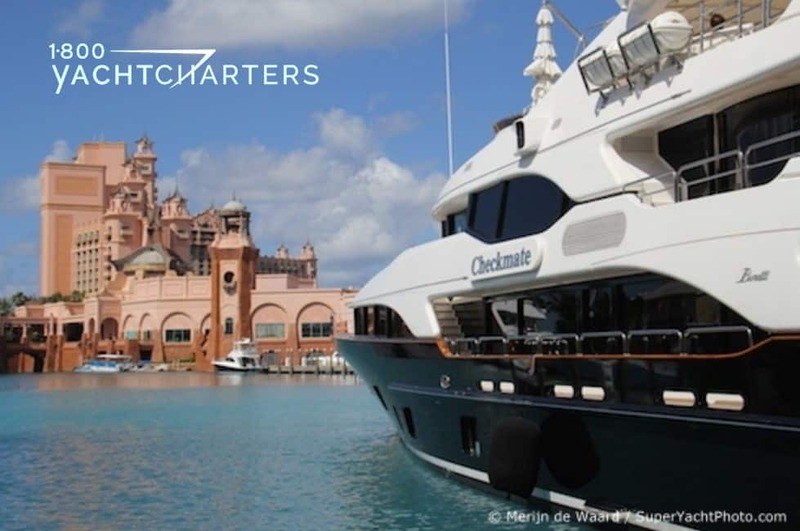 This is the perfect venue for Mediterranean yacht charter guests.The festival’s aim is to promote the various aspects of international cinema in all its forms: as art, entertainment and as an industry. Retrospectives and film homages are integral to the festival as a contribution towards raising awareness of the history of cinema. Every year, numerous travel magazines and websites put together lists of the top 10 beaches in the world. 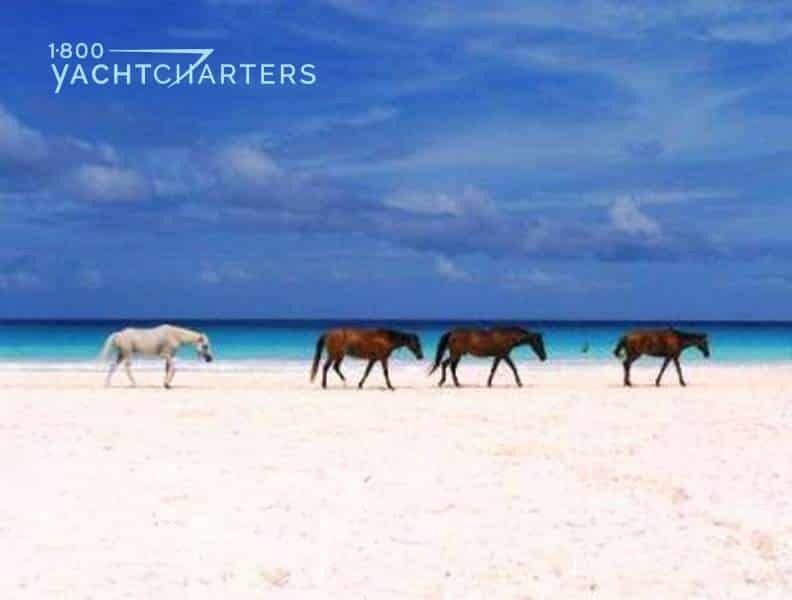 Our charter department decided to chime in on the never-ending debate about the best beaches, but we wanted to add a little twist.Since the vast majority of yachting vacations, bareboat yacht charters, crewed catamaran charters, etc. take place in the Caribbean, we decided to focus on the very best beaches found in the balmy Caribbean – sandy destinations that you can reach BY BOAT. Of course, this will probably set off a series of text messages and emails, debating the merits of the Caribbean beaches, as compared to the South Pacific and elsewhere. Good – that’s the way we like it!!! Let us here from you if we’ve missed a great beach in the Caribbean…or elsewhere. SIP SIP BEACH (Harbour Island, Eleuthera, Bahamas) – the sand is pink, not white. Very few residents and even fewer tourists. No big buildings or hotels to block your views. Amazing. On top of that, where else can you sit on a beach towel and have wild horses meander by??? on weekdays (but boaters from the mainland of Puerto Rico do invade on the weekends).. In a nearly waveless, sheltered cove, Flamenco Beach is long, wide, and surrounded by greenery. Fish swim right up to the edge of the water, which is waist deep for quite a stretch and has at least 20 yards of crystal clear visibility underwater. As a kid, I used to love going to the beach on Key Biscayne in Miami. The concession stand had the best sno-cones in town, and the long, paved path along the edge of the beach was the perfect place to ride my bicycle. Sometimes my dad would rent a public cabana for the day, where we could change into our bathing suits, sit in the shade to escape the sun, or draw the curtains to take a nap – away from the crowds on the beach. The concept (and benefits) of a cabana has finally made its way into the world of yachting, as more and more of the world’s largest yachts now feature “Beach Clubs” – small, private decks that fold out or pop open when the yacht is at anchor. 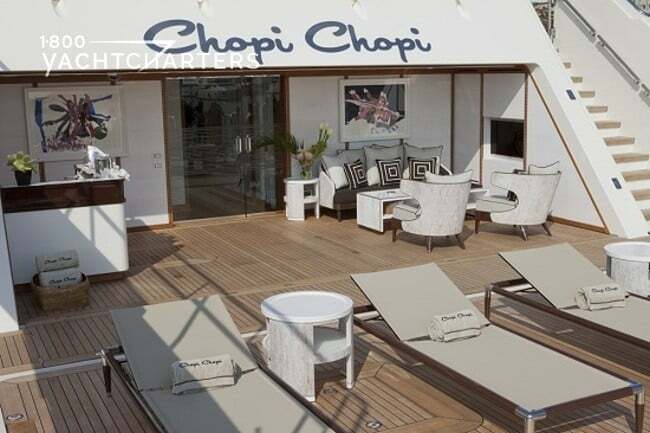 Located along the sides or aft areas of many new yachts, these beach clubs offer quiet spaces where charter guests can relax, away from the main entertainment spaces of the yacht. Most feature large oversized chairs, couches, and massage tables, as well as entertainment options such as flat panel televisions and stereos linked to the yacht’s central entertainment system. Some of the winter Caribbean yacht charter vessels featuring beach clubs include motor yacht SYCARA V, motor yacht IMAGINE, and motor yacht HARBOUR ISLAND. In an ever-hectic world, expect to see more and more yachts adding private areas for personal retreat and relaxation onboard.